Facebook is currently testing an “unsend” feature for the FB Messenger app. No timeline as to when it will be available. It happens to the best of us — sending something regrettable over chat. Thankfully, Facebook knows this is happening and has decided to remedy the situation. 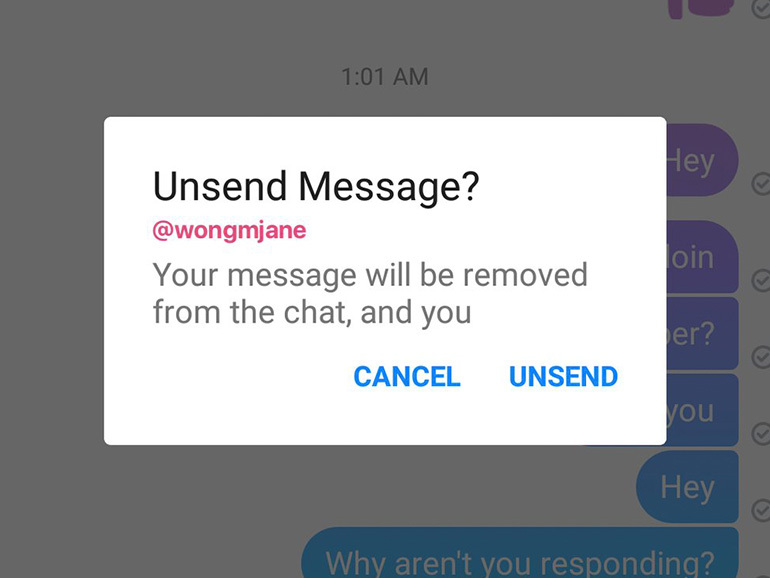 Apparently, the social network is currently testing an “unsend” feature that presumably allows you to unsend or totally delete a message. Previously, deleting a message only removes it from your side of the chat. According to the source, offending messages can only be unsent after a set amount of time. Once that is breached, it’s there forever. So far, no timeline on when the feature will be rolling out was mentioned.